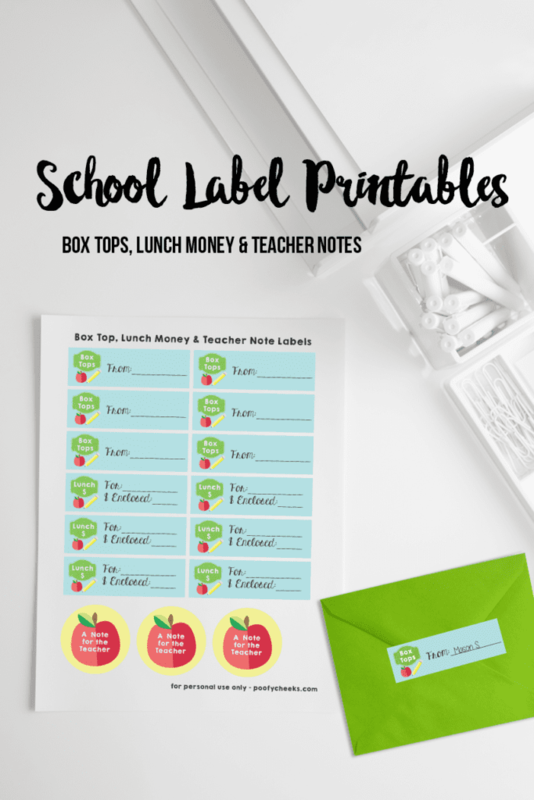 Send box tops, lunch money and notes to school with printable labels. We did our back to school shopping last weekend and I went for broke. I still have to get the boys some new shoes and we are on the hunt for a Star Wars lunch box because everyone seems to be sold out. 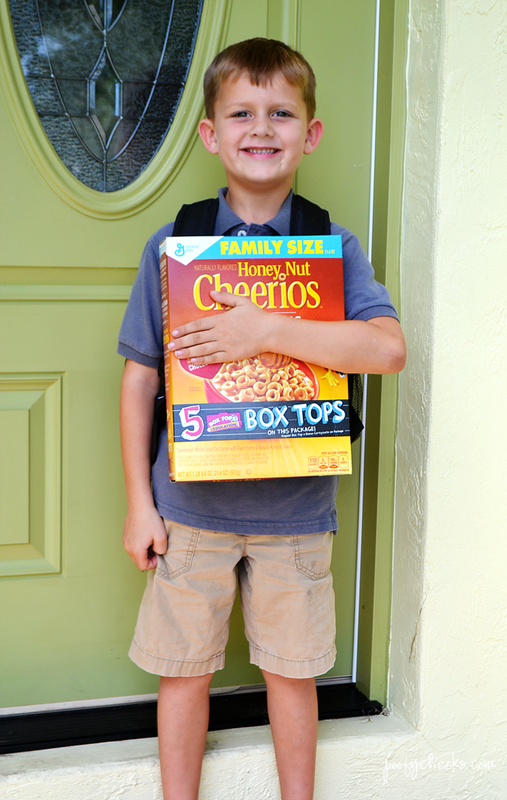 This past weekend we have been out shopping for lunch and breakfast items for back to school. I know I was fairly excited about them returning to school but I admit now it seems summer has gone by too quickly. I have spent a lot of time just hanging out with the kids and hanging on every silly thing they say they past few days. They DO say a lot of silly things. Sometimes I wish I could take their mispronounced words, their silly faces and questions and save them in a box. Pictures are one thing but then there are the other memories of things that they think up. I told my husband last week we should start a journal for these memories. I know that if I wrote down every excuse they gave us for not wanting to clean their room we would laugh hysterically about it when they are older. Since I can’t slow down time the boys headed off for their first day of school today. We get to go to Meet the Teacher on Friday and I have my fingers crossed they have fun and encouraging teachers this year. I feel like the kids in Mary Poppins at the beginning of each school year! The one thing I always feel uncomfortable doing each school year is sending things into school. My boys ride the bus and they would loose their heads if they weren’t attached! Not to mention there are some older kids on the bus that aren’t so nice. One time I sent $8 to school with Wyatt for a book fair book he wanted. He wasn’t able to go to the book fair that day but a big kid on the bus told him he would sell him a loom bracelet for $8. Wyatt came home so proud of his new loom bracelet but I was not so happy. We had to sit down and have a talk about that situation… oh the job of being a parent. 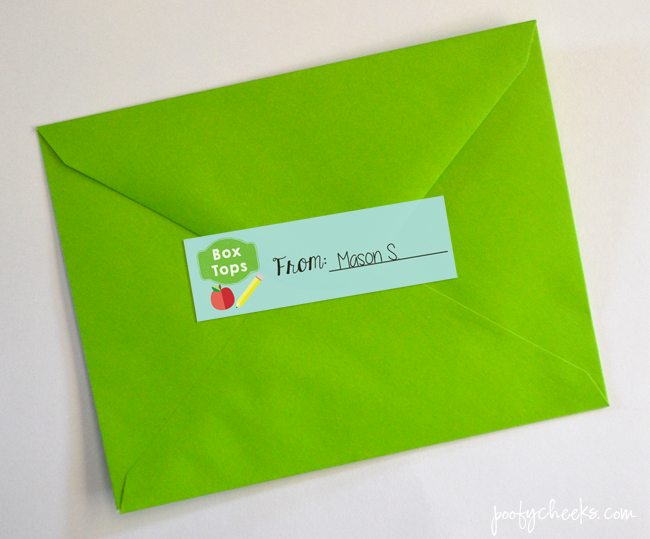 Now I send things like lunch money, notes to the teacher and their box tops in sealed envelopes with labels on them. I created free printable labels to share. Print the file onto cardstock or sticker paper, cut them out and attach to an envelope. I feel so much better about sending things in to school when I know they are labeled with a name. For the lunch money labels I added a spot so you can write how much is inside. GRAB YOUR FREE PRINTABLE LABELS HERE! We have been collecting our box tops all summer long. Ever since Wyatt started kindergarten a few years ago we have been saving them and sending them in. I never realized how many things we purchased that had the little labels on them! As soon as we get a haul of food home from the grocery store the boys are waiting with their safety scissors to be the first ones to cut the labels off. It is a competition to see who can get them first and send them into their class. Every year the boys’ school has a competition to see which class can collect the most and the teachers send reminders home nearly every month asking the parents to remember to send them in too. Since I can’t always contribute as much as I would like taking a few seconds to cut the Box Tops out and send them in seems almost too easy. 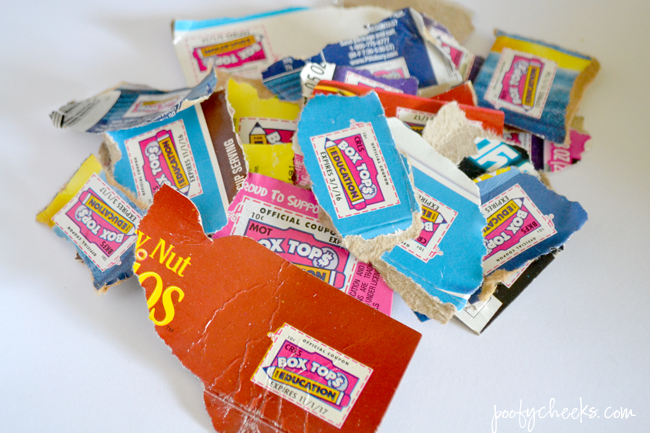 For every Box Top the school gets $0.10 and the school can use their earnings to buy whatever they need. With everything they are cutting back on in schools I know every penny counts! Both of my boys have split up the box tops we collected over summer evenly and have them in an envelope already in the back packs. 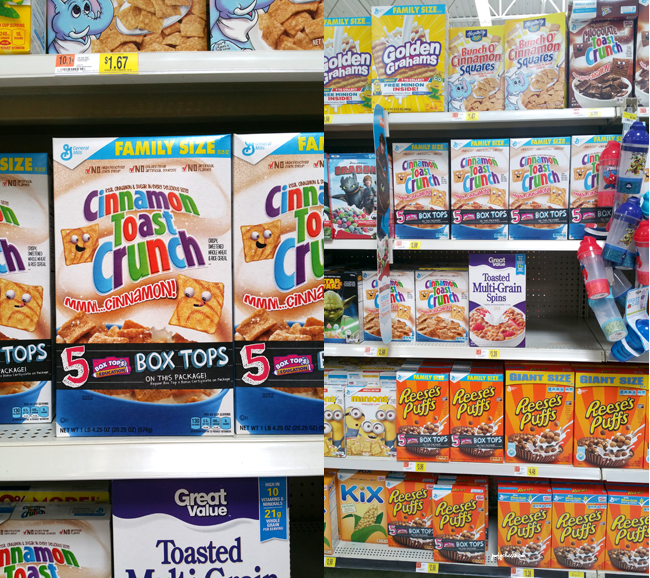 Right now Walmart has Bonus Box Top products. 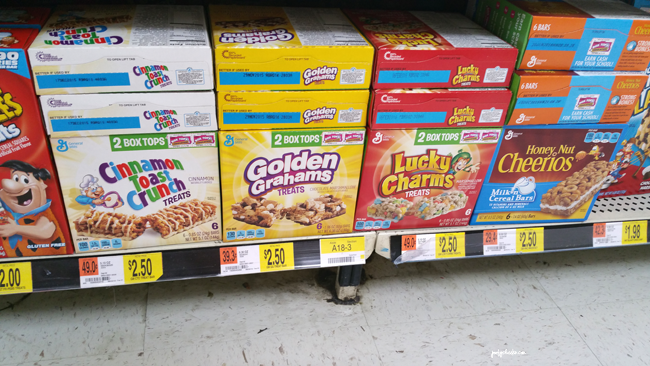 We grabbed two boxes of cereal and a box of Golden Grahams Treats with Bonus Box Tops. The boys were stoked to get 12 Box Tops from three items! I love teaching them to save big for a bright future! Okay someone pass the tissues! I’m not usually a mush ball but when I look at the pictures of the boys heading out on their first day of school I melt. Where did my babies go?